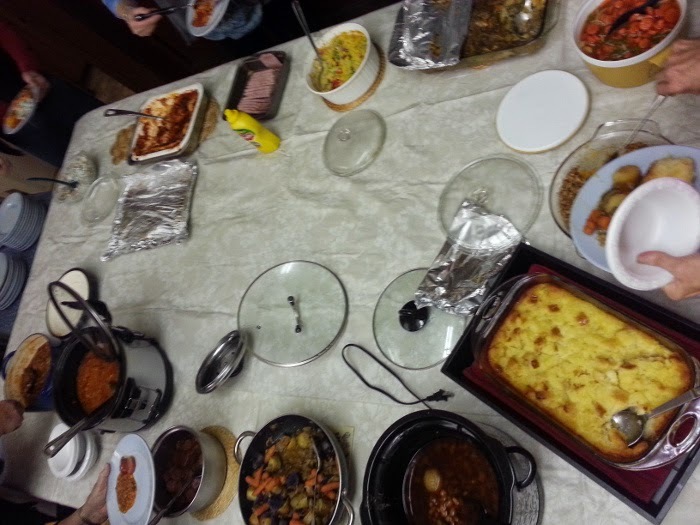 "2014 Annual Meeting and Pot Luck Dinner"
There was lots of food and good company at the Pot Luck Dinner this year. 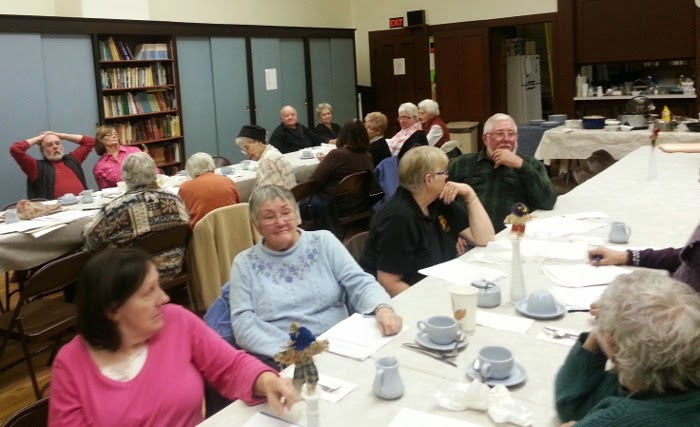 About 30 members were in attendance for the dinner. The lines form as the dinner bell rings! 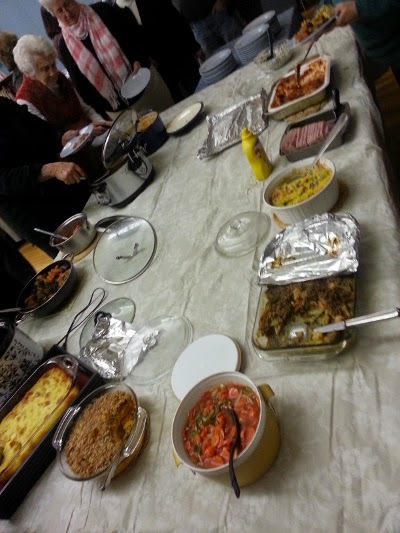 The food table had a wide array of new dishes and old favorites. 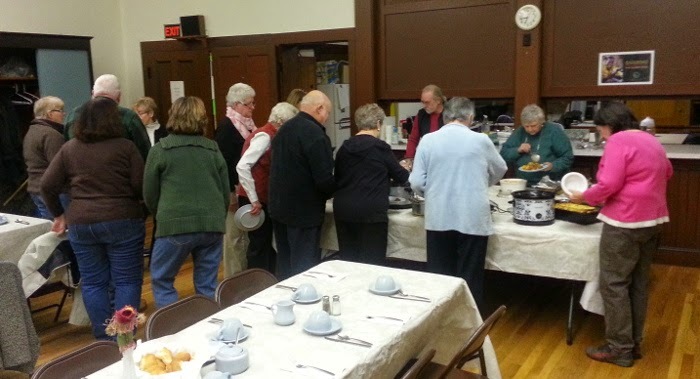 Members dig in and fill their plates. After dessert, the members engaged in discussion before the Annual Meeting began. 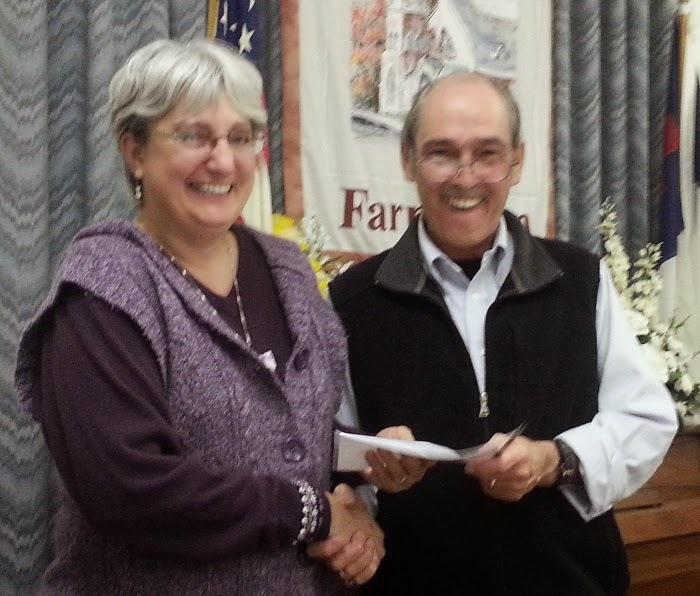 The 2014 Annual Meeting was the highlight of a strong building year for the Farmington Historical Society. There was so much that was accomplished since last November. After the dinner, President, Jim Horgan reminded the membership in attendance of the great accomplishments that the Society has made over the past year. 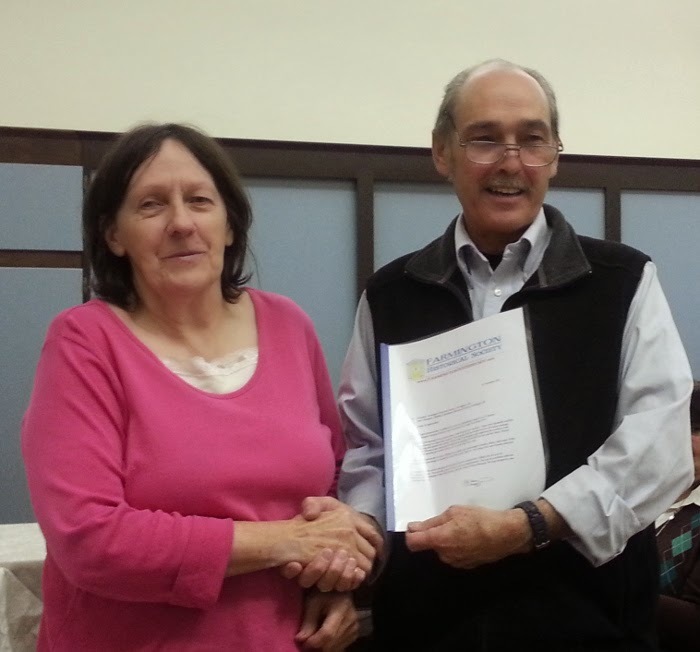 President Jim gave a special award to his wife, Martha, for her support during his first year. 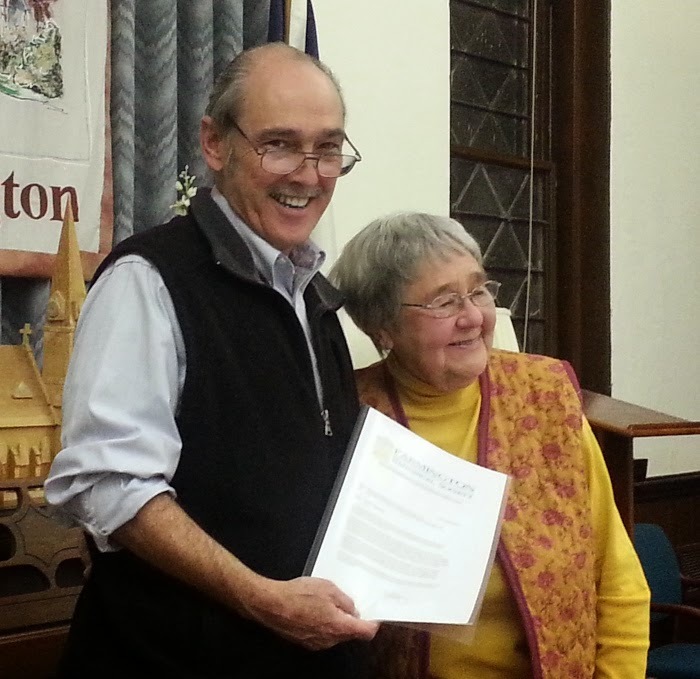 Past President and Vice President, Dottie Bean, was given an award for her hard work and years of service to the Farmington Historical Society. 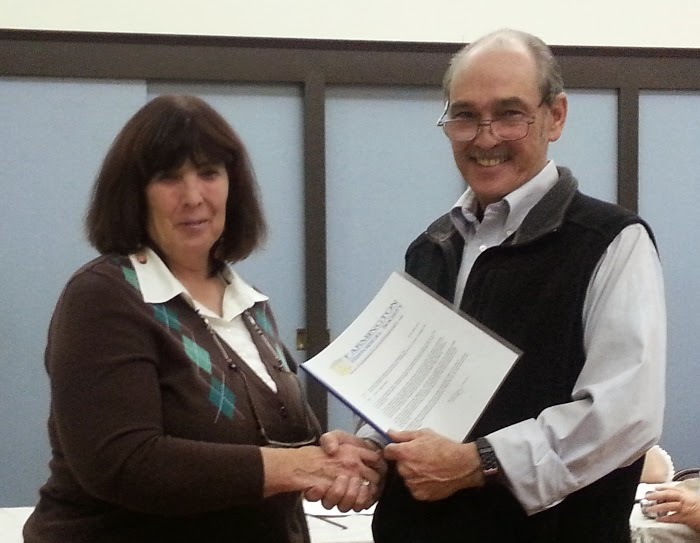 Public Relations Chairperson, JoAnn Doke, was honored for her work in promoting the Society. 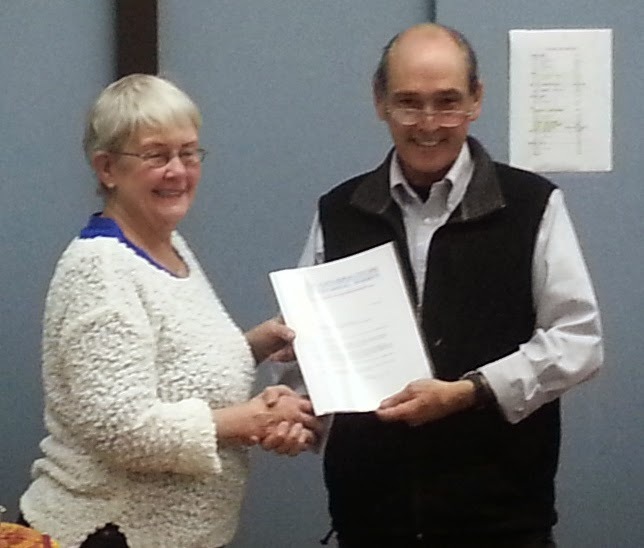 Secretary Joyce White was honored for her service as the Secretary of the Historical Society. 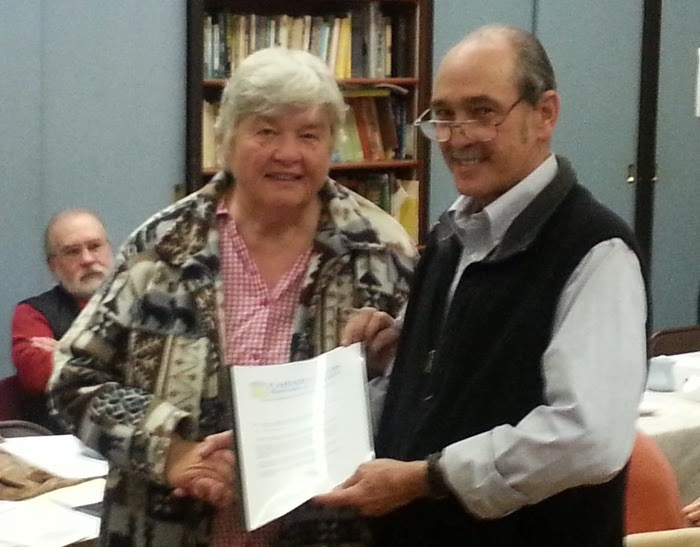 Judy Thompson was honored for her work in organizing and working with the Museum Curator to improve the Henry Wilson Museum, operated by the Historical Society. Museum Curator, Kyle Leach, was honored for his hard work in both developing the Museum's online presence and organizing and developing consistent protocols for museum artifacts and acquisitions. 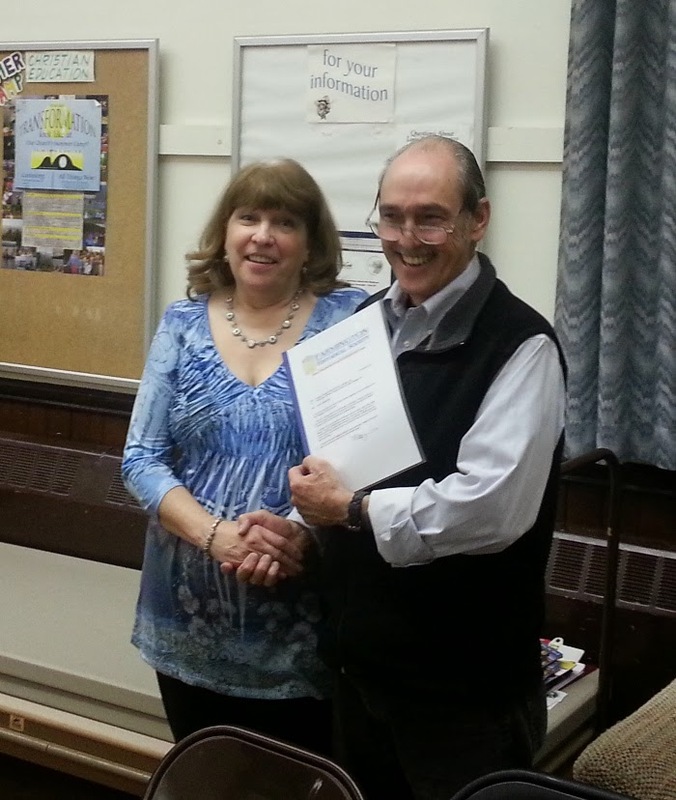 Treasurer, Rebecca Howard, was honored for her service as treasurer for the Historical Society. Resta Detwiler, Membership Chair, was honored for her work with recruiting and communicating with the membership. In the year since Jim took office, the society has moved full steam ahead into the 21st Century. 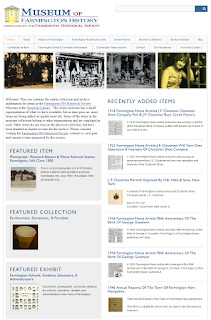 The Museum now has a computer and storage necessary to catalog and organize the artifacts. 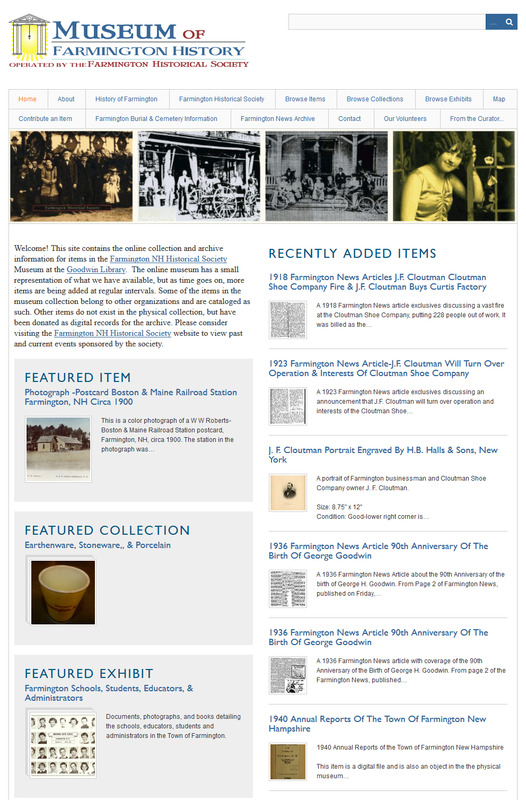 The website has been refreshed, as has the museum space. We have increased our meeting to continue over the summer and the work the Society does has been expanded beyond our monthly presentations moreso than it has in the past. The Society has Tee Shirts and Hats for sale, along with American Flag pins. 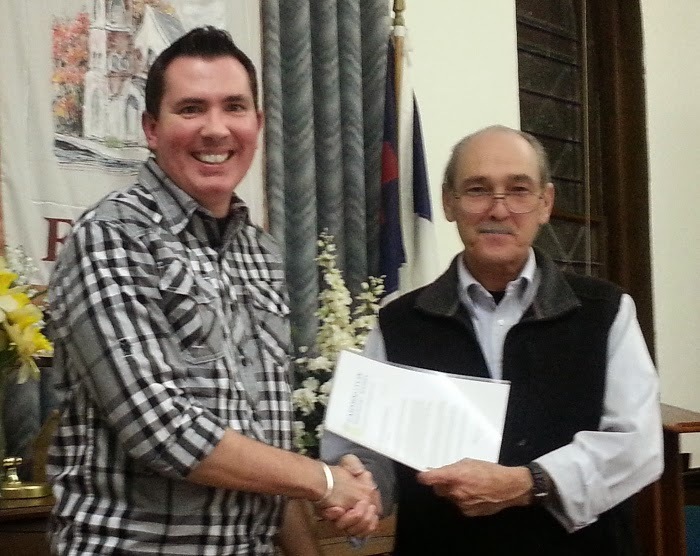 Jim hopes to continue the momentum the Society has gained this past year and continue to make improvements, increase membership, and our work done to preserve and record the History of the Town of Farmington. Consider joining this active and fun group!